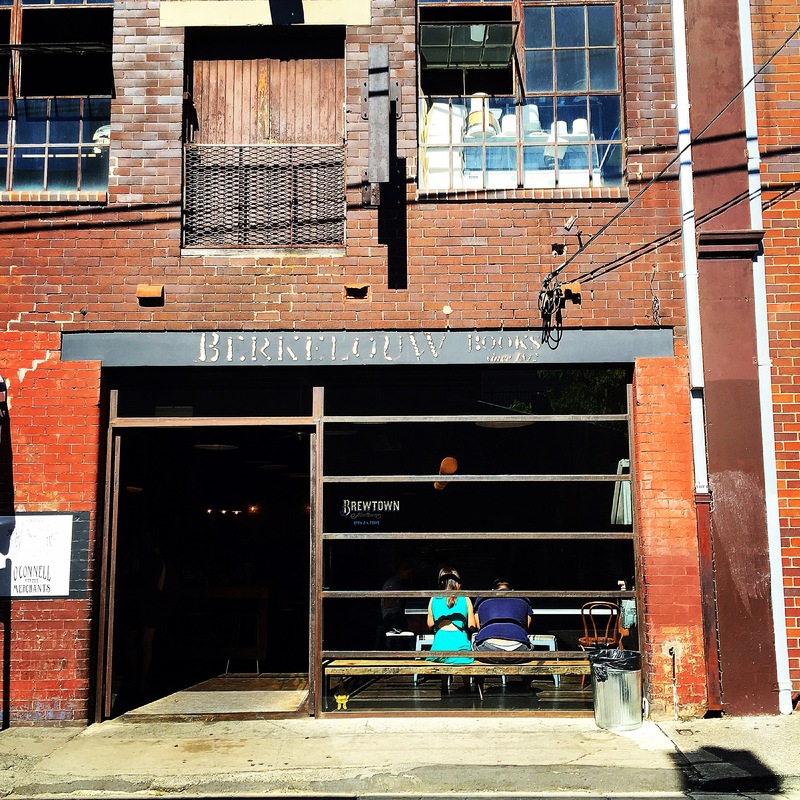 The only constant about Newtown’s dining scene is that it is constantly changing. 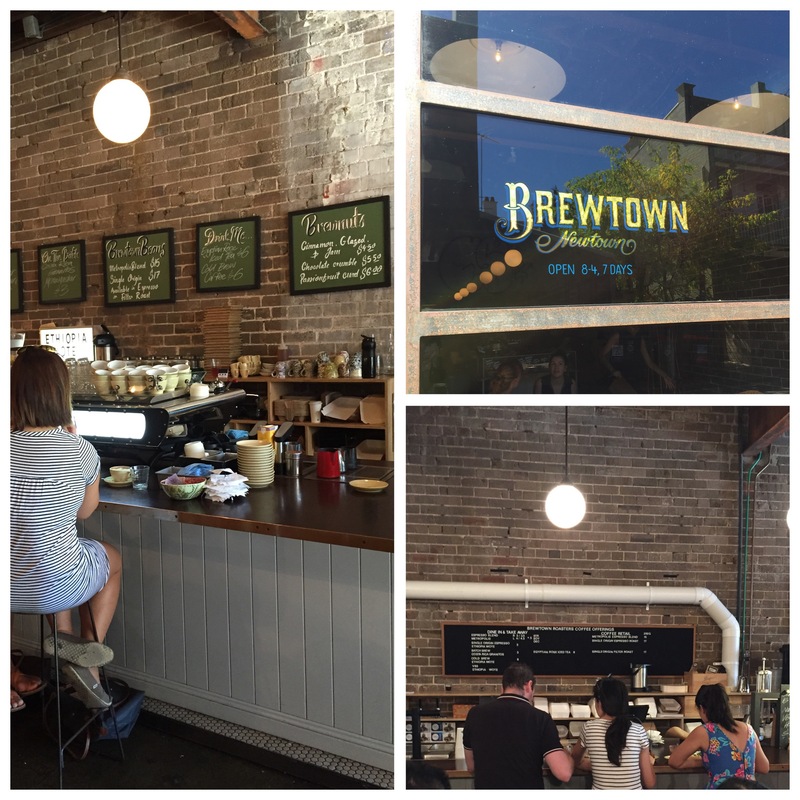 Newtown Brewtown popped up about a year ago, in place of the old bookstore on O’Connell Street, and has since amassed a sizeable fan following. While ordinarily difficult to spot on the street, the massive crowd that lingers around the entrance is usually the giveaway as to BN’s location to a first timer. We arrived early Saturday morning and were pleasantly surprised to find only a slight crowd. Informed that we were up against a 15 min wait for a table, we went upstairs to O’Connell Street Merchants to browse their eclectic and funky mix of clothes, trinkets and homeware while killing time. Within seconds of walking into the renovated industrial space, it’s apparent that coffee has a very central place in the room. Unsurprising, given the two founders of BN met at Toby’s Estate and have worked at a couple of Sydney’s illustrious coffee establishments. Wood smoked salmon, curried Israeli couscous, poached egg, coriander, lime ($16.50): a really tasty dish, the mix of coriander and lime was a very refreshing take on a salmon dish. Corned beef hash with garden peas, poached egg and parmesan crumbs ($15): while a very popular dish in the US, it is relatively unknown in Australia. R is a massive fan of corned beef hash from her trips to the US, so did not hesitate to order this when she saw it on the menu. With extremely high expectations, she was disappointed with this dish. Cronuts ($6): if there’s one thing NB is known for, it’s their cronuts. We tried three flavours – salted caramel and popcorn, salted caramel and macadamia and the lemon myrtle. All three were delicious, however, the standout for me was the salted caramel and popcorn – a mixture of sweet and salty, this cronut had an oozing centre of salted caramel deliciousness. 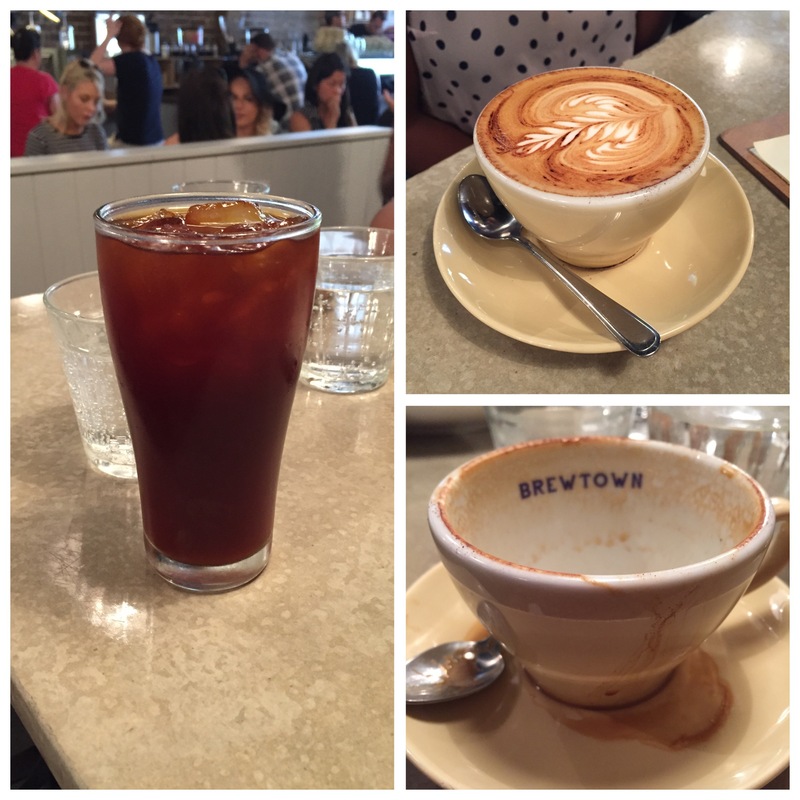 Coffees (various): the coffee at Brewtown is excellent. You wont go wrong with any order! Overall, loved the experience although slightly disappointed with the food itself. 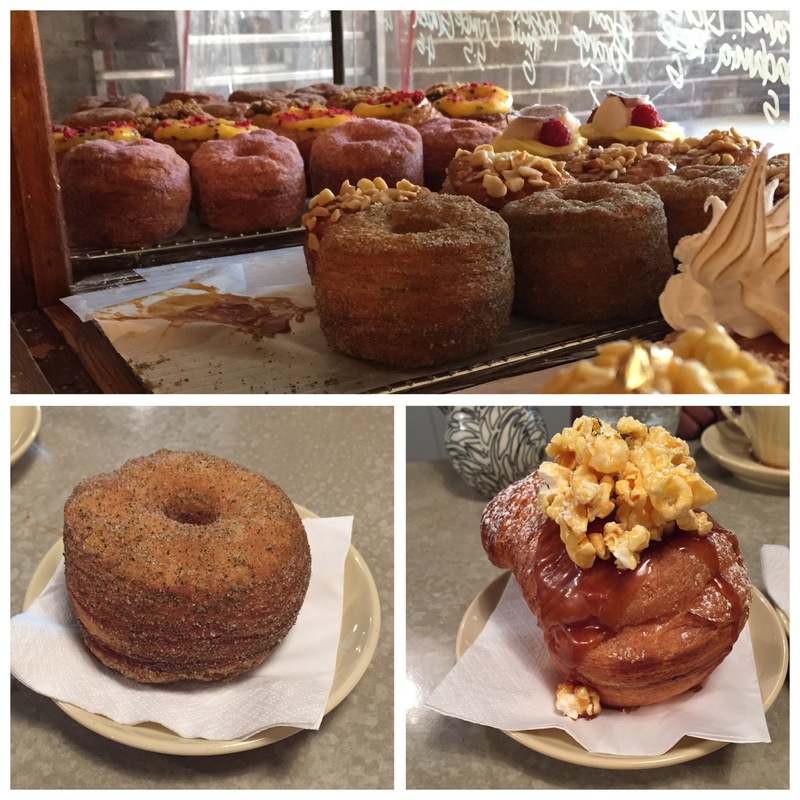 The coffee and cronuts are two reasons I would go back! 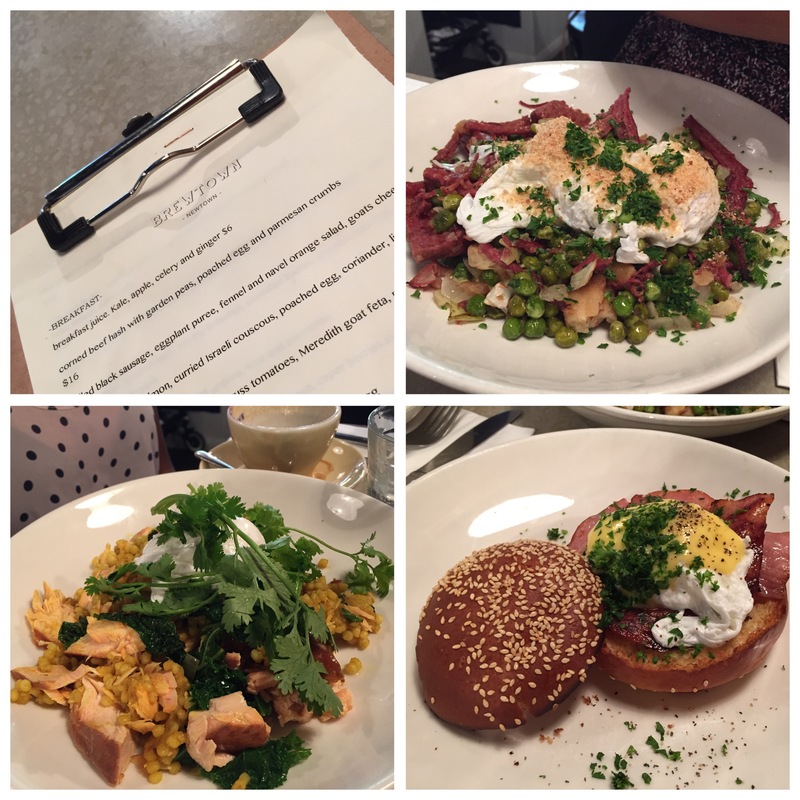 This entry was posted in Brunch, Cafe, Food, sydney and tagged brewtown newtown, coffee, cold brew, cronut, newtown. Bookmark the permalink.